I’m delighted to announce that The Trouble with Princesses is a finalist in the 2014 National Readers Choice Awards for Best Historical Romance. Winner to be announced later this summer. 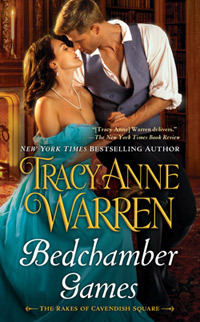 I wanted t0 share the happy news that The Trouble with Princesses is a 2013 Romantic Times BookReviews Nominee for Best Historical Love and Laughter! Winners to be announced spring 2014. Can’t wait for my newest releases? Read sneak peaks now from two of my upcoming novels: The Trouble with Princesses (Princess Brides Trilogy Book #3) and The Last Man on Earth (Grayson Series Book #1). Remember that both books are currently available for Pre-Order and will be in stores November 5, 2013 and January 7, 2014. Enjoy! Posted in Read All About It | Comments Off on New Excerpts Posted! THE TROUBLE WITH PRINCESSES ARC Winners! Big congratulations to the winners of my special The Trouble with Princesses ARC Contest! Jeanne I. of Austin, Texas, Jacque V. of Woodinville, Washington and LaQuita Parks of Alma, Arkansas each won an autographed advance reader copy of The Trouble with Princesses (Princess Brides Trilogy Book #3). Congratulations again ladies and my thanks to everyone who entered the contest. Just a reminder that Ariadne’s story, The Trouble with Princesses, is available now for pre-order and will be in stores November 5, 2013. Posted in Bon Mots | Comments Off on THE TROUBLE WITH PRINCESSES ARC Winners! Win an ARC of THE TROUBLE WITH PRINCESSES! Be the first to read my upcoming release, The Trouble with Princesses, before it hits bookstore shelves. Enter today for a chance to win one of three advanced reading copies of the final novel in the thrilling Princess Brides Trilogy. The contest entry is open for only a short time and ends Monday, October 21, 2013 at 5pm est. By entering, you agree to be added to my mailing list. Best of luck! Posted in Huzzah | Comments Off on Win an ARC of THE TROUBLE WITH PRINCESSES!